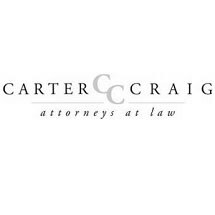 Since 1954, Carter Craig, Attorneys at Law, has been leading the way in getting results and providing high-quality client service in Danville and throughout Southside Virginia and northern North Carolina. Led by attorneys Stephen G. Bass and D. Thomas Blair, we are a trial firm. That means we commit significant resources to ensuring that our clients' cases will be ready to go the distance if necessary to protect their interests and rights. We have developed a strong reputation in the area for the thorough, detail-oriented representation that we provide our clients. We have recovered some of the largest personal injury settlements and judgments in the region, and we frequently receive client referrals from other lawyers throughout the region. To learn how you can receive quality representation from hometown attorneys, we invite you to schedule a consultation with our attorneys today. Personal injury consultations are always free, and we often hold night and weekend meetings with clients when it's more convenient. Danville Hematology and Oncology, Inc. Pulmonary, Allergy and Asthma Clinic of Danville.